United States homebuyers are a superstitious lot. Most are spooked by the thought of buying a former crime scene and few will touch a house tainted by death, no matter how innocent the circumstances. Anecdotally “stigmatized properties,” as the National Association of Realtors calls them, linger on the market a full 45 percent longer than homes that are not psychologically impacted by death. The problem is, in most states, a homeowner does not have to disclose a death in the property he is selling. This can lead to a buyer unwittingly buying a home that he would have avoided like the plague, given the full facts. Luckily there are some things you can do to uncover a home’s history for yourself. Now, who you gonna call? Most states require sellers to disclose important information about the property to potential homebuyers before closing. Sellers routinely make these disclosures on a pre-printed disclosure form that asks all sorts of questions about the condition of the property, such as whether it has suffered any water leaks or pest infestation. The idea is to get sellers to disclose any “material facts” about the home. A “material fact” is anything that might influence the purchaser’s decision to buy. The problem is, just three states specifically recognize death as a material fact. Even in these states, the seller only has to disclose deaths occurring within one to three years of the purchase date. In most states, either sellers must decide whether death at the property is a material fact worthy of disclosure, or they are not obligated to say anything at all. So while you may get some information from the seller’s disclosures, the chances are you will not — but it’s always worth checking. Suppose you ask the seller and their real estate a direct and specific question about past deaths at the home, irrespective of what it says on the seller disclosure form. Must they answer? On a balance of probabilities — yes, they probably should. The law regarding death disclosures is unfortunately gray. Some states actively protect sellers and real estate agents who say nothing about previous deaths. Yet home buyers in other states have successfully sued sellers for keeping quiet about grisly past events. Professional bodies such as the National Association of Realtors routinely advise their members to be open and upfront about known stigmas in the homes they are selling, lest they face a lawsuit from disgruntled homebuyers. For homebuyers the advice is simple: if you want to know something, ask. Most real estate agents will supply the information you are looking for. Just makes sure you know what you are asking. All the case law on the subject of death disclosures concerns properties that have witnessed a murder, suicide or haunting. So far, no homebuyer has successfully sued a home seller for failing to disclose a normal, peaceful death in the home. Remember that home deaths were once commonplace. There’s a good chance that an older home has witnessed the death of an occupant, and neither the seller not their agent will know about it. Many deaths — especially those that occurred in suspicious circumstances — are reported in local newspapers. You can always try searching online for reports or obituaries concerning the home, or look in the library for archived newspaper reports. Neighbors are also a good source of local gossip. If you are brave enough to knock on doors and ask some fairly awkward questions, you may be able to find some helpful information. If you have plenty of time on your hands, you can try cross-referencing the names of previous owners of the property with local death records. This requires a lot of legwork. To find the names of previous owners, ask the seller if they have an abstract of title. The property’s abstract is a condensed history of all the deeds, mortgages and probate records relating to the home. Abstracts go back to the first construction date and should list all previous owners of the property. If the seller doesn’t have an abstract — and most won’t, since many abstracts were routinely destroyed when title insurance became common place — visit the county recorder’s office. Here you can check all recorded deeds relating to the property. It’s a laborious exercise, especially if the records are not computerized. First you will have to find your deed in the deed book, then use the referencing on that document to locate the preceding transaction and so on, back to the point the property’s records began. The recorder can show you the quickest way to accomplish this task. Armed with your list of previous owners, it’s time to check the death records. Various genealogy websites list death records online. Most ask you to simply type in the name of the previous owner, and the search engine will return a death record showing when and where they died. Sounds easy, right? There’s a catch. The county deed book records former owners of the property, not who actually lived there. Wives, children, renters and so on may be missing from your list. Also, a death certificate will not usually tell you whether the deceased died in the home, in hospital or somewhere else, so you may be left with a lot of unanswered questions. A relatively new website, DiedinHouse.com, offers web-based research into deaths that may have occurred on your property. 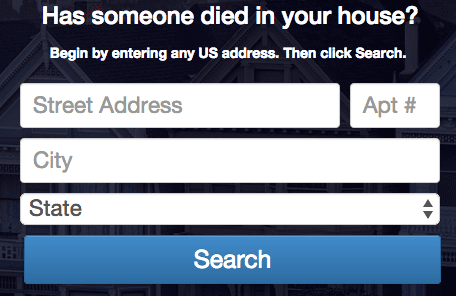 For a fee, this company will search local death records to find a match with previous homeowners. Using a database of over one million records, they will dig into the information to find out if the person actually died at the home. Most of the information DiedinHouse.com tracks is available to the public, so in theory you could find the information yourself. However, pulling all the data together can be time-consuming and you may consider the fee a small price to pay for peace of mind. Companies offering a similar service may spring up in future. So there you have it: five ways to find out if anyone died at the property. None of the methods are foolproof, and some require considerably more work than others. 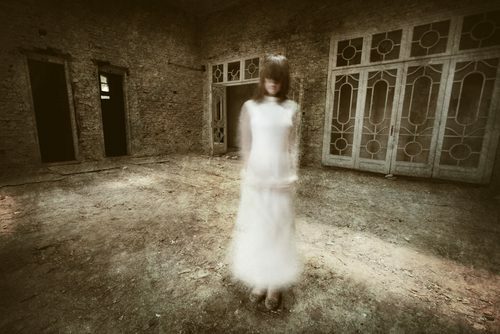 Yet if you get a creepy feeling when you think about someone dying at a home you wish to buy, these tips might just help you sleep at night. NEW!! #6th Way to Find out if Someone Died in your house! HomeDisclosure, which is part of Attom Data Solutions ( RealtyTrac and HomeFacts.com) now offers before you buy it “Death in Home” Data reports. Read more on this from RealtyTrac. Most states require sellers to disclose important information about the property to potential homebuyers before closing. Sellers routinely make these disclosures on a pre-printed disclosure form that asks all sorts of questions about the condition of the property, such as whether it has suffered any water leaks or pest infestation. The idea is to get sellers to disclose any "material facts" about the home. A "material fact" is anything that might influence the purchaser's decision to buy.